Hair is vital part of our looks. Women are considered to be more caution about their hair then men. But in recent times, a man has also started paying attention to his looks. He pays almost equal amount of attention as women does. But, there are many men who are suffering from hair loss. What is this and what are the remedies to it? Common male pattern baldness, to which scientific term is androgenetic alopecia, accounts to more than 95% of hair loss in men. It is caused by the sensitivity increased in the male hormones in few parts of the scalp. It can be from generation to generation. The process of hair loss can start at the age of 20 to 30. This then follows a typical pattern. It can be diagnosed with thinning of hairline and loss of hair. This then moves towards the entire baldness of the top of the scalp. There are some other reasons behind getting bald. It can be iron deficiency, under active thyroid, fungal scalp infection, some prescribed medicines and stress. Apart from genetic problem, if you are losing hair due to other reasons then you can stop the hair fall by taking extra precaution and with the help of medication. There are many treatments available in the market; few are successful and others failed. Visiting the doctor at the right time would help you to understand the main cause behind the loss and take the necessary measures. A) Minoxidil (Loniten): This is the first table which was approved by FDA for the treatment of hair loss. You have to apply it directly on your bald area. In the study done it was found that this helps you to regain your hair slowly with time. The plus point is of this medication is that it doesn’t have any hormonal affect in your body. B) Proscar: Proscar, whose genetic name is Finasteride, shows the development in regaining the lost hair. It was approved by FDA in the year 1997 and is effectively used to treat the common male pattern baldness. A) Hair Transplant: In this process, a surgeon moves the non-sensitive hair from the back to the front side of the scalp. This process is advisable to those who have only lost the front hair. There are various factors that depend while carrying out this process like age, color of hair loss, kind of loss and the type of hair. B) Scalp Reduction: This is a process where through surgery, either the bald scalp is removed or hear bearing scalp is pulled upward to replace the bald scalp. It would show a good result when performed by an expert. C) Flap Surgery: In this surgery, the scalp which is still producing hair is moved to the bald area. This might be the best option as after the operation there might be another place where baldness is created. D) Herbal Preparation: If you wish to have better and safe way to regain your hair then you can take help of the herbal treatment. 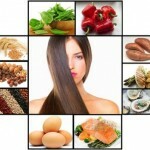 This includes iron, zinc, magnesium, vitamin E and other important substances that can help you get your hair back. Hair indeed gives you a different look to your personality. It is important that we should take care of it now else we will lose. After all, precaution is better than cure.